Out of the ashes of the X-Drive Series comes the brand-new Solomon XDR Series, a strong and smooth addition to the Solomon selection. The XDR Series is Solomon’s frontside specialty ski, offering men’s skis that are designed primarily for carving up the front of a mountain. Wherever you fall on the ski-skill spectrum, the XDR Series has a ski with you in mind, from the hard-charging expert all the way down to the true beginner. Let’s see what new goodies Salomon has brought to the table with the XDR and how to choose which one is right for you. CFX Superfiber: Salomon’s CFX Superfiber Construction brings an ultra-lightweight and energetic feeling to the XDR skis without causing them to feel heavy or fatiguing. CFX Superfiber is made with a combination of Carbon and Flax, creating an impressive new construction that allows skis to feel full of power without being heavy or cumbersome. The overall weight of the ski is actually reduced in comparison to past years, without losing any of the effectiveness. The CFX Superfiber can be found in the following models: XDR 88 Ti, XDR 84 Ti, XDR 80 Ti and XDR 79 CF. All-Terrain Rocker 2.0: The All-Terrain Rocker 2.0 profile is available on all models of the XDR Skis. This rocker profile is designed to bring quickness and agility from edge to edge for slicing short to medium radius turns on the frontside of the mountain, with the ability to occasionally head off the groomers. Rocker in the tip will deliver a quick and deliberate turn initiation with some floatation when you get into some fresh snow, while absorbing negative vibrations caused by changing snow conditions. Camber underfoot adds extra edge hold and rebound. A slight amount of rocker in the tail makes for extra easy exits out of turns. All-Mountain Shape: The XDR Line has a new all-mountain shape that feels very nimble and agile when you are slicing your way down the groomers. The new tip shape and slightly elongated rocker profile is very progressive, making the XDR easier to ski. Every one of the XDR Skis has this playful-feeling shape to it that is easy to maneuver and with enough edge hold to tackle the iciest of conditions. Although the waist width directs them towards a frontside ski, they are much more similar to a modern freeride skis, as they are skiddable and better in bumps and crud. Carbon: The XDR 88 Ti, XDR 84 Ti, XDR 80 Ti and XDR 79 CF each have Carbon added to the construction that adds precision and power while reducing weight. Skis with Carbon added to them generally feel more lively and energetic, and this is true of the XDR as well. Ti Laminate: All of the XDR Skis have a single layer of Ti Laminate, with the exception of the XDR 75. A single Ti Laminate adds power, stability and edge hold, especially when you ramp up the speed or the conditions get firm. Who is the XDR For? With six different models of XDR skis to choose from, Salomon has designed an XDR ski for everyone from the bare bones beginner all the way up to the hard charging expert who is looking for control and smooth skiing on the frontside of the mountain. XDR 88 Ti: The XDR 88 Ti has an 88mm waist, full sandwich sidewalls and all of the tech goodies mentioned above, forming an excellent ski for advanced to expert skiers looking for stability on the frontside and power when the slopes become bumpy or cruddy. An 88mm waist allows for you to dive off trial when you want to, making this a great ski for light snow days or ripping through the bumps. Full-length vertical sidewalls drive into firm conditions with unmatched edge grip and beef up the torsional strength of the ski. The 88 Ti includes the Warden MNC 13 bindings, which is one of the strongest, most powerful bindings offered by Salomon. This binding is Multi-Norm-Certified meaning that it can safely accommodate WTR and AT boot soles. If you ride in one of these boots, the 88 Ti makes a perfect on-piste option that don’t require you to swap out boots to ride. XDR 84 Ti: An identical construction to the 88 TI, with just a slightly narrower waist. The 84 Ti also includes the Warden MNC 13. The 84mm waist version has a slightly smaller turning radius for strong intermediates all the way up to experts who like their turns a little tighter. This XDR iteration also has full-length vertical sidewalls. Although an 84mm underfoot gives you some bump and crud skiing ability, this ski should remain on the groomers. XDR 80 Ti: The 80 Ti is the narrowest of the XDR skis, coming in with a stiffer construction as well. This is the high-speed carver of the line. The 80mm waist, also packed with Salomon’s best technologies, is the stiffest of the bunch too, with the tightest turning radius designed for strong intermediate to expert skiers looking for quick, sharp turning ability. Again, full length vertical sidewalls drive a firm edge into firm or icy runs. The XT 12 bindings enhance energy transmission and power, but can only accommodate standard DIN boot soles. If you like tight turns at a high rate of speed on the groomers, this is the XDR ski for you. XDR 78 ST: The XDR 78 ST features the new Mercury 11 binding that is much lighter weight than previous binding systems that the X-Drive skis have had. A layer of Basalt adds extra strength without adding any extra weight to the Woodcore. The Semi-Sandwich Construction is forgiving and easy to ski making this a perfect option for the athletic beginner or novice skier who is ready to make an investment in their first pair of skis rather than spending time in rental shop lines. XDR 75: The XDR 75 is the ski designed for the true beginner skier. The Semi-Sandwich Cap is forgiving and easy to ski and the Composite Core requires little energy or technique to make the ski react when and how it should. The All-Terrain Rocker 2.0 will help you skid in and out of turns with little effort and help you push out a snowplow. Whether you have been a fan of the Salomon X-Drive Series for years or just want to update your sticks to something with the latest tech, the Salomon XDR skis will not disappoint. There a variety of options so that any skill level skier will be able to find a ski perfect for where they are in their development. 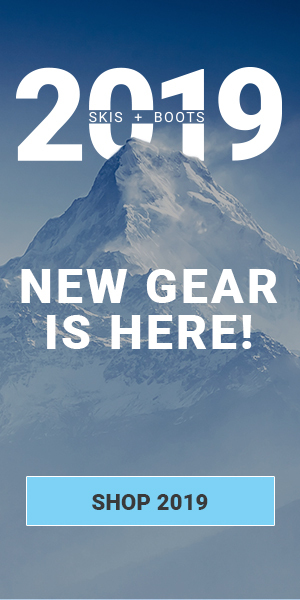 Take a look at Skis.com’s full selection of Salomon skis and gear for yourself here.